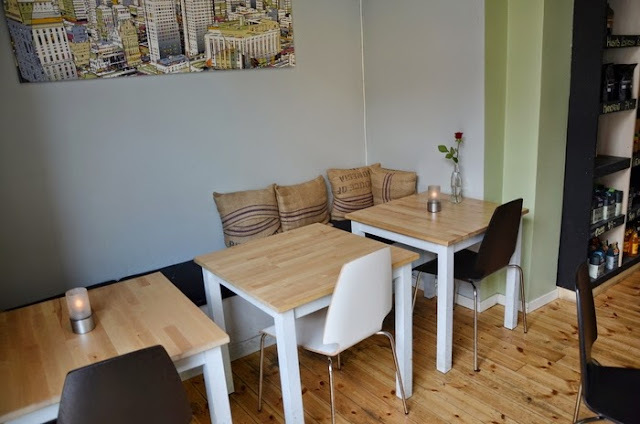 Today I offer you a breath of cafe air from one of the most artistic neighborhoods in Oslo - Grünerløkka. 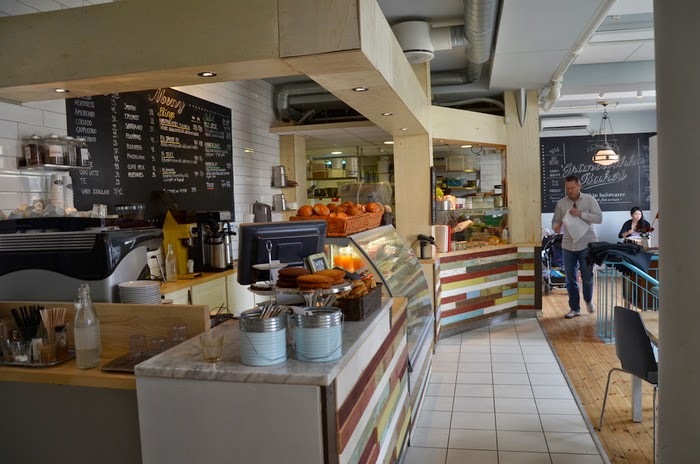 Welcome to Grünerløkka Kaffehus where you can drink coffee from South America, buy healthy fresh bread from their own bakery or enjoy the extravagant interior in the underground level where coffee courses are also taught to educate and inspire about the ways the best coffee is being prepared and served. Here is to a creative and unusual summer! Wonderful! I wish we had a café like that in my little town. I like it when bakeries still make their own bread. Yes, that makes them even more cozy! That looks like a place I would like to have lunch! Thanks for stopping by! Lunch with friends on a warm day sounds like the perfect way to spend quality time. 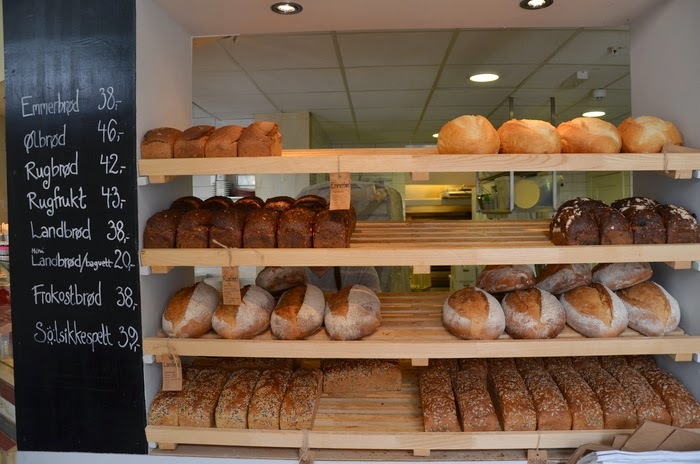 Looks like a fabulous little bakery and cafe!! We have a bakery/coffee house that opened here a while back, but I was so disappointed to find out that the bakery part meant only sweet treats and not bread. :( This is what I had been hoping for!! Enjoy your little gem! I am moving to Oslo! Mmmm...fun to imagine hanging out there! Alas, our best local source for coffee - Acme, where they are very conscientious about the origins of their beans and support local bakers and suppliers, doesn't offer a place to linger and savor your beverage. 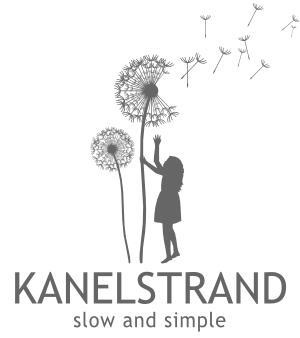 It's more of a "stop and go" type of establishment. 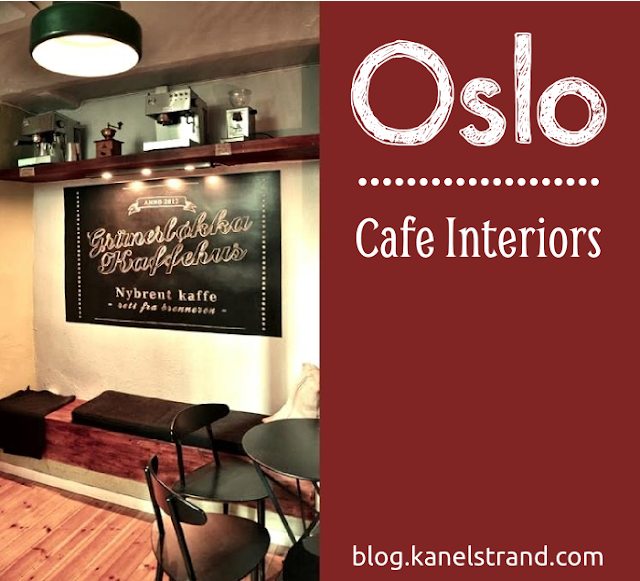 Our area is in serious need of a cafe like yours in Oslo! I love coffee shops with character. 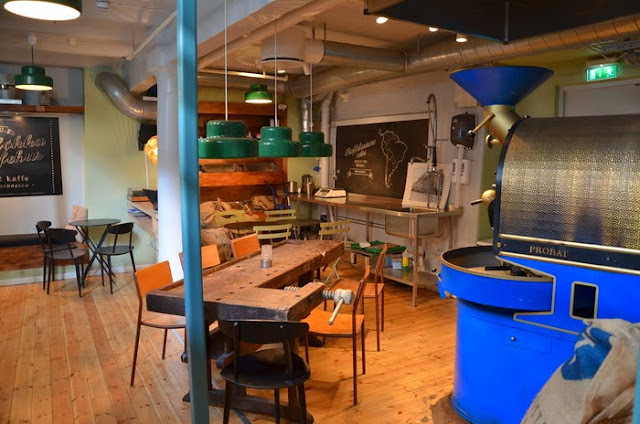 The eclectic furnishing and recycled objets, makes this coffee shop look really inviting. The baked breads look amazing!